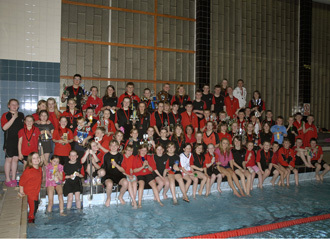 WELCOME TO THE BROCH SEALS AMATEUR SWIMMING CLUB. Broch Seals ASC was formed in 1998 by Marie Cheyne and David Watt and have been consecutive winners of the NEASCA league since 2003. The club is a non profit making club affiliated to SASA, SASA North District and NEASCA. Head coach Marie Cheyne, leads a dedicated team of qualified coaches, committee members and volunteers. We have approximately 100 members ranging from non-competitive swimmers to swimmers competing at national level. If you are interested in joining our club come and see us on Thursday night from 6pm-9.30 pm and speak to a coach.